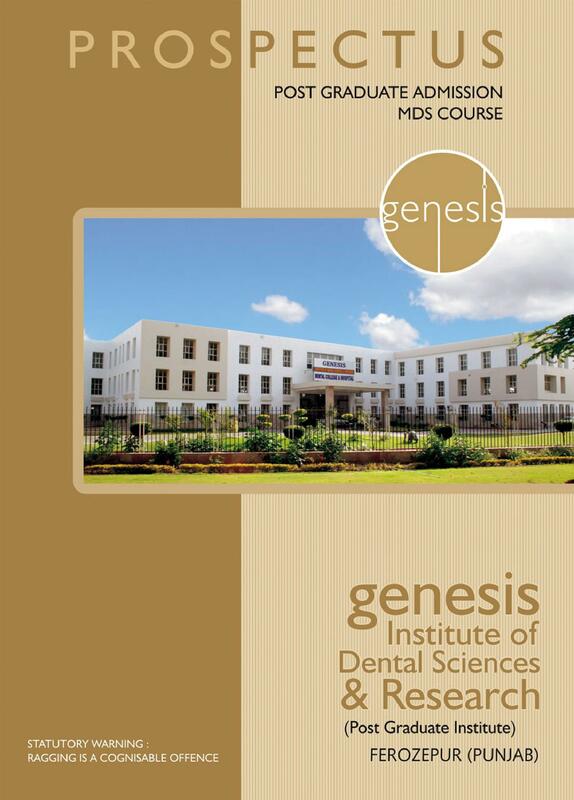 Genesis Institute of Dental Sciences and Research is an institute serving with the commitment of providing excellence in patient care, education, community service and research. 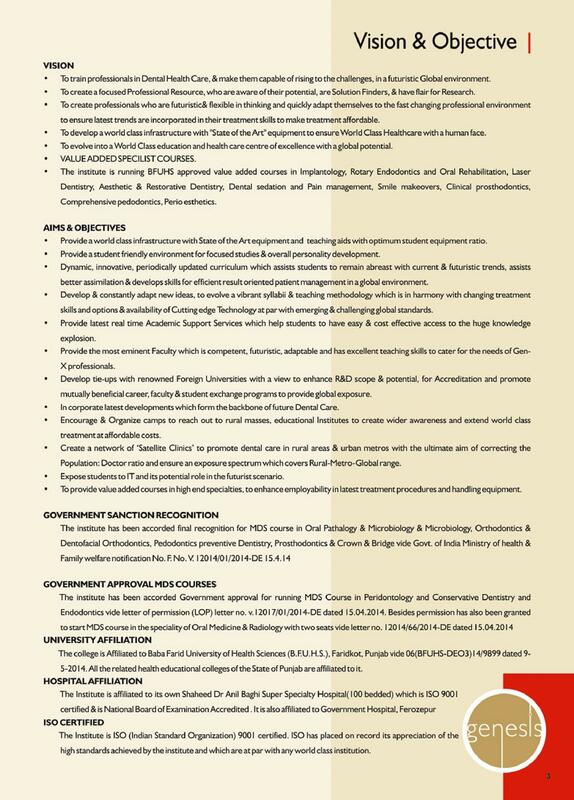 This institute renders Bachelor of Medicine Science, Bachelor of Dental Surgery and Master of Dental Surgery courses. It is a very professional institute where students are trained according to requirements so that they develop as competent dental surgeons. The students at this institute are supplied with the knowledge of treating oral and dental ailments through comprehensive courses. 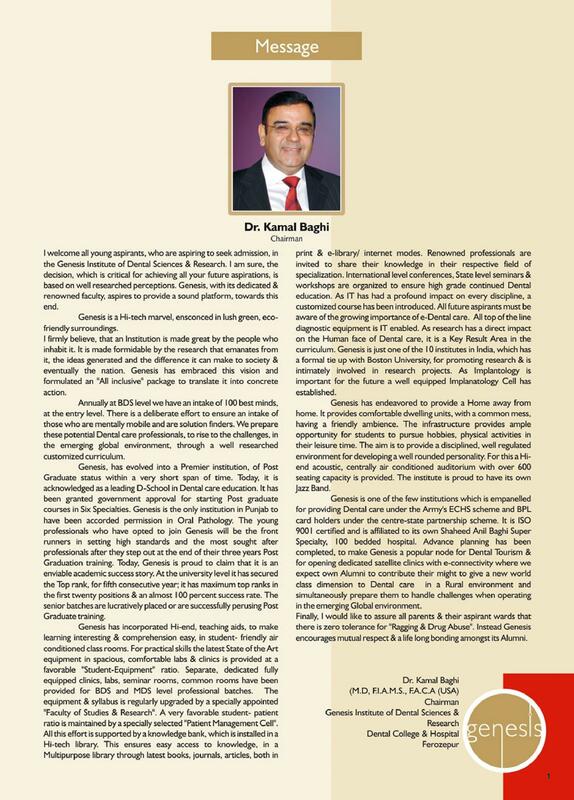 Creating focused professionals in the field of Dental Health and Care is the main motive of this institute. 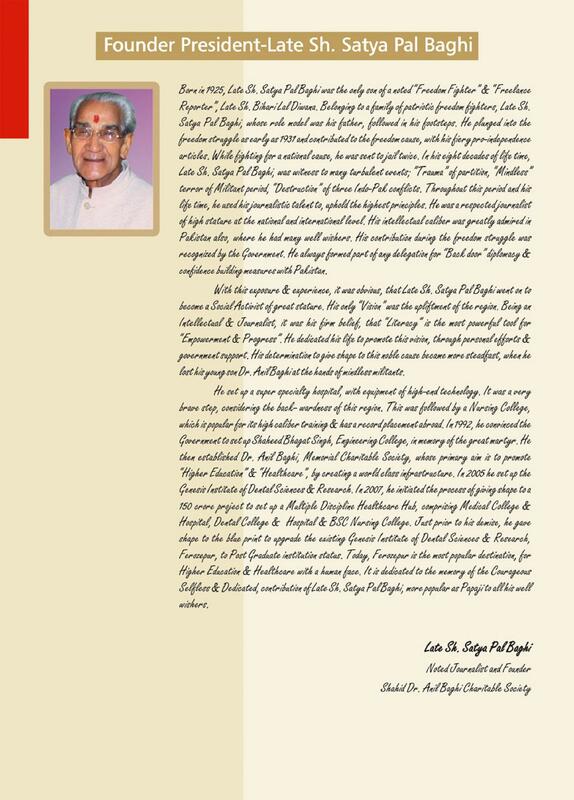 Teaching Hospital- This is for helping the students gain theoretical as well as practical knowledge. IT Resources and Digital Library- Computerized departments working on own licensed software. Digital library with internet facility and high speed systems. Student Achievements- Harpreet Singh Goraya, Best Speaker, Ferozepur; Harshita Wadhwa, Member of International Association of Student Clinicians of ADA and Sukhjit Singh Malhi, Best Poster 53rd IDA meet, Amritsar. Hello Sephora,Christian Medical College, Ludhiana does not provides BDS course. For more details, please contact to the admission office of the college.